The minister pleaded not guilty to all charges read out by Accountability Judge Mohammad Bashir, terming them baseless. Following the indictment, NAB presented before the court a list of witnesses against the accused. 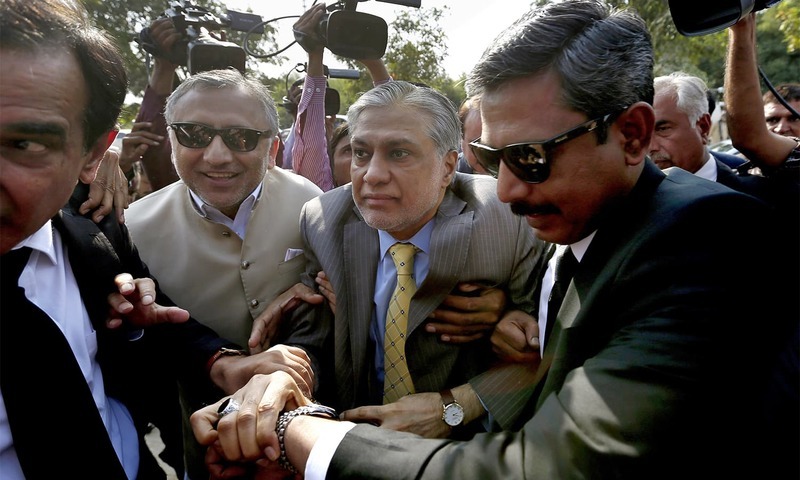 Dar’s counsel, Amjad Pervez, pleaded that his client did not receive the notice the court usually issues seven days prior to the indictment, but the judge told him that since his client had not appeared in the first hearing on Sept 19, this could be taken to mean that he was allowed the seven-day notice period. 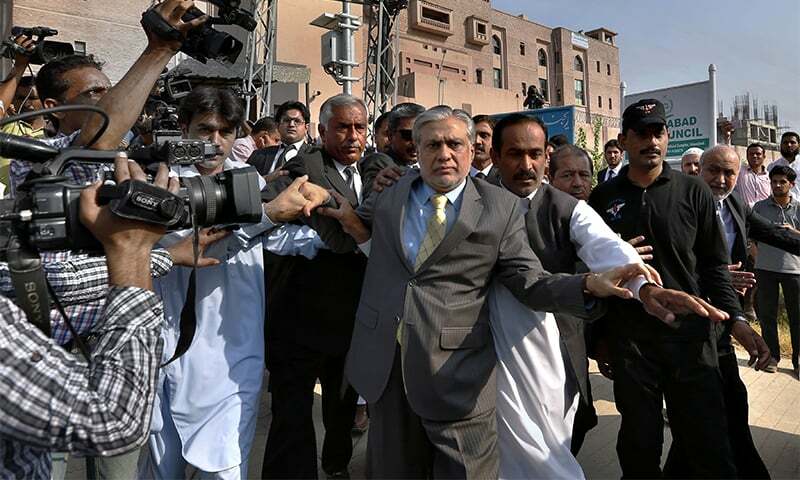 The court asked NAB prosecution to present at least two witnesses who would testify against Dar. 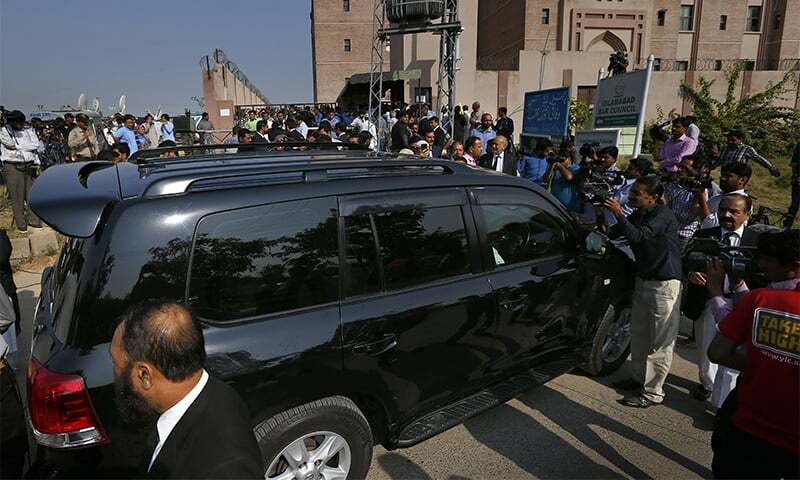 After the hearing, PML-N leader Tariq Fazal Chaudhry while talking to reporters said the court has summoned two witnesses, both of whom are are bank officials from Lahore, out of the 28 prosecution witnesses. Meanwhile, the court rejected an application filed by Dar requesting exemption from personal attendance in court hearings and said the case would be heard on a day-to-day basis after Muharram holidays. 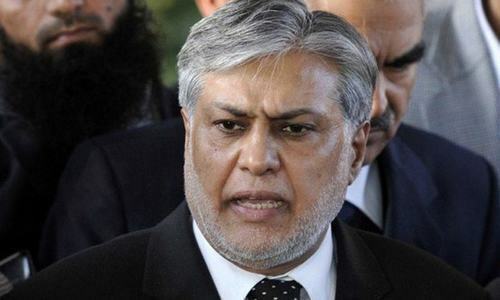 On Monday, Judge Mohammad Bashir had handed over a copy of the reference filed by NAB to Dar’s counsel, along with copies of related documents, which comprise 23 volumes. The court had rejected a request by Dar’s counsel to grant them seven days to peruse the voluminous record, saying that since the Supreme Court had set a six-month deadline, it could not adjourn proceedings for a week. 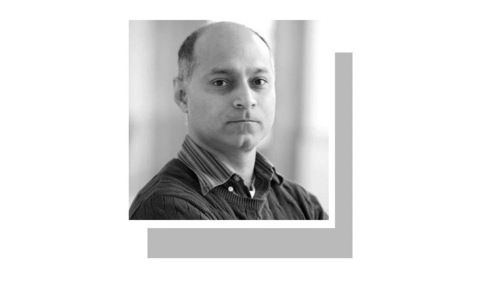 On Tuesday, an accoun­tability court declined Nawaz Sharif’s request for exemption from personal attendance and issued bailable arrest warrants for Maryam, Hussain and Hassan Nawaz, as well as retired Captain Mohammad Safdar, for their absence from its proceedings. All these people deserve exemplary punishments. Why no media allowed in court. The trial should be transparent. Court reject Dar's counsel reasonable request to allow 1 week to pursue 23 volume reports. Reason Supreme Court set 6 months deadline. Court should take decision on rational basis irrespective of deadline. Does not inspire confidence . Even indicted Ishaq Dar, not resigning from the ministry. what a strange standard of morality is it? hope that it will go smooth and truth may win. Justice must prevail. I feel lucky to be alive to see such a day in Pakistan. Thank you IK. A wise statement " man proposes, God disposes". These corrupt elements now hold no respect and mercy. It's the moral duty of common people to open their eyes and stand against this rotten political system that has engulfed the purpose for which our homeland got independence after so many sacrifices. Courts should be public hearings...always. If the reporters wete causing chaos; a live in camera session on PTV should suffice. Until the corrupt arent ridiculed and mocked on public television; the judiciary system will lack power. All corrupts who ever so need to be fixed at the earliest. 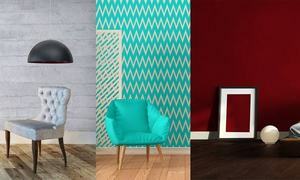 6 month is a good period to distinguish between black and white. When these crooks will learn how to respect rule of law and courts! @Asif .But isnt Ik running away fro the same courts now a days. Sadly country remains poor while our brilliant leaders make billions. I hope truth prevails and someone powerful gets punishment. If that charge is valid and applied across the board, 98% members of the Assemblies are likely to go home. Unfair means of making money deserve furious accountability. During his tenure pakistan did make any progress but Dar Made tremendous progress fiscally. That is an expensive suit he is wearing - whose value looks disproportionate to the income of a MP. This corrupt Aqama gang has been eating Pakistan like a termite for more than 30 years. @A.yusuf - the defendent and counsel should work overtime to clear their name. No delay can be tolerated. If they culprits are proven guilty, which they certainly would, they have to be behind bars, like now! Confiscate all the stolen wealth from them and spend on poor people's well being. Thanks Supreme Court and thanks IK !! Step down, until proven innocent! Finance Minister must show highest level of integrity. A criminal never accepts that he committed a crime - this is exactly money laundering expert Isaq Dar has done. It is now up to NAB to prove him wrong. He should immediately resign, as he does not deserved to be finance minister. This is disgraceful and unethical. NAB is and has been in the control of pmln. Let's see what comes from this trial. Finance Minister's face oozes guilt, he's corrupt, he knows it, everyone else knows it. Let justice make its way now. Very shameful for Pakistan. He should go to jail now. Corrupt to the core, starting from the ex-prime minister down. But still as a Nation we elect them! Something is terribly wrong with us. We need to wake up!!!! @A.yusuf I believe his lawyer slacked for a week and court was not ready to give him more space. Also, what can a court do when accused is deciding whether he would like to appear before the court or not? It is a good decision by court and will set standards for future cases as well. They all will use all their means to save their skin. It is too late their place is prison..
After indictment, he should have resigned immediately from his job in the cabinet as the Federal Minister which is a position held in public trust. Since he has still not resigned, the PM should take action and remove him from the cabinet. @IQBAL HADI ZAIDI Thanks to Imran Khan who started fight against corruption as all MNA's and MPA's of PML N, PPP, MQM and other parties have been supporting each other to hide their corruption. How many corrupts have been sent to jail so far and how much money recovered? The lawyer for the accused should be given reasonable time to peruse the record. This is one of the important elements of a fair trial. After Dar, it is Sharif 's turn. Let us hope it is dominos effect. Picture of the day Dawn..
Court proceedings should be televised so people can see everything for themselves and not through third party biased TV channels and reporters. A very good process to have begun in Pakistan and all efforts should be made to make it full transparent and reach a proper conclusion. Needless to say, someone in the ruling party should ask the Minister to resign, face the trial and then comeback if he is declared clean. This type of behavior diminishes Pakistan's already poor image abroad. @A.yusuf: The reason to set a deadline is because even the Supreme Court knows NAB hasn't done their job before the Panama started hence they know this case can drag on for ages due to non seriousness environment of our public offices so someone has to make sure a judgment is made before the elections and also in a acceptable time frame. Why does Mr. Dar need more time when he has all the evidence as stated by him in court and after the Supreme Court judgment and also during the JIT hearings ample time was given to prove his innocence but he couldn't satisfy the Supreme Court and the JIT so the accountability court is right in not allowing more time..
Courts please deliver justice to the people of Pakistan. Accept no excuses . Poor Dar is under pressure as he is well informed of all the money laundering process of Nawaz Sahrif family. 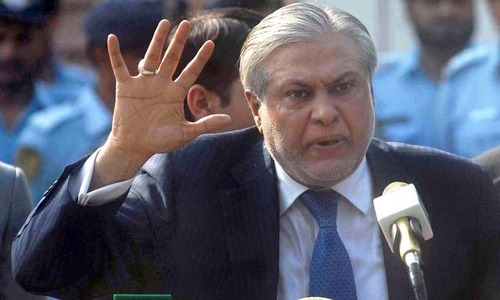 Dar seemed confused while appearing the honorable judge of NAB court. When self respect erodes from the society, people like Dar occupy such positions for which the basic qualification is trust and honesty and belief in dignity. Finance Minister is the custodian of Govt. Funds and he is facing corruption charges, still holding his FM status. This is possible in Pakistan only. I was in a embassy function in DC and I felt a push in the back while in the dinner line. As I turned around I found it was Ishaq who had pushed me to get in front of me. These are the people who are in charge of the finances of the country. This is how a court handles a case regardless of whether you are a minister or a shop keeper, the law is clear and the decisions should never be biased as we are witnessing. So far, I am very pleased by the direction of our SC and judges. I pray these same courts bring all the corrupt rich leaders to the door step of the law and have them pay for their wrong doings, people of Pakistan have be misled and treated unfair just for way too long . Khwaja total shambles of a court. What sort of trial is this? If the hearings are going to be 'in camera'then strict action should be taken to exclude everybody except the necessary people. If it's going to be an open trial, then very tight security is needed, with very carefully limited press/media presence. It's the responsibility of the court to ensure order well ahead of time. Why is he still the finance minister ?? Justice must prevail what it cost! We shall see soon comming ahead all of us a real democratic setup in Islamic Republic of Pakistan! Victim face will earn him sympathy from the good kind and soft heart masses in Pakistan. Where is the PM on all of this? AND Dar still signs cheques for Pakistan as its Finance Minister. What an irony ! What a spectacle ! People around the world are astonished and guessing the minds and mental of our these indicted politicians about their self respect and honor. May be they don't have at all. He is staunch patriot and he did many great things for our economy. His contribution to CPEC project is commandBle. He will prove his innocence .